Either/Or is, in the purest sense of the word, a transitional work. (Something this very publication noted at the time of its release.) Whereas that term could connote incompletion and uncertainty, for Either/Or, it’s progression. No album so capricious—from the Kiekergaardian disjunction of its title to the “They want you or they don’t” of its closing track, “Say Yes”—should sound so confident, accomplished, and driven. But Smith was nothing if not confident, accomplished, and driven in the studio in the mid-1990s, qualities that are once more evident in the remastered tracks on Kill Rock Stars’ 20th-anniversary edition of Either/Or (due March 10). “He would record one live take of vocal and guitar together, and then he would just double to it once we got it,” producer Schnapf told Pitchfork in 2013. There’s a modesty to Either/Or that keeps the technical proficiency from overwhelming the proceedings. “It could easily have been bigger-sounding,” Schnapf says in the Pitchfork oral history. “We could have blown it up more, but he wasn’t ready to do it just yet.” Though its instrumentation is bulked-up from the folk-busker arrangements of Smith’s first two records, that instrumentation gets no more ornate than a few keyboard parts. Smith’s chops are always in service of his songs, the complex picking on “Alameda” and “Angeles” or the ripping solo on “Cupid’s Trick” born from and enhanced by his ear for melody and composition. The instrumental breakdown in “Pictures Of Me” is particularly impressive in this respect, as Smith pulls together a few measures of Beatles pastiche that calls to mind multiple eras of the band. The album’s hushed masterpiece, “Between The Bars,” goes one step further, subverting Smith’s sense of pop classicism by hanging up on the chord that should pivot to a bridge or a concluding verse. A bittersweet waltz whose economy nevertheless makes room for an abundance of feeling, “Between The Bars” lends itself to any number of interpretations from brooding strummers; skip Madonna’s melodramatic reading for the version by Emily Haines and James Shaw of Metric. The professional high point of this period wound up arriving courtesy of a legitimately unfinished track. After using some of Smith’s songs in an early version of his film about a self-taught math genius working as a janitor at MIT, Gus Van Sant approached the singer-songwriter about using his music in the final cut. In addition to “No Name #3” from Roman Candle, the official soundtrack for Good Will Hunting wound up featuring three tracks from Either/Or: “Angeles,” “Say Yes,” and “Between The Bars.” Seeking to supplement those selections, the film’s studio, Miramax, inquired about unreleased material. The song that would become the Oscar-nominated “Miss Misery” had been previously tracked by Smith and Larry Crane (Shh! Don’t tell the Academy! ); with Schnapf and Rothrock, Smith completed the song early on in the sessions for his next album, XO. For millions of people, this is the only Elliott Smith they know: The guy in the white suit, singing half of a song before becoming the next nominee steamrolled by the Titanic Oscar juggernaut. To a smaller group of fans, this “surreal” (as Smith would come to call it) intersection of the underground and the mainstream would take on its own mythic stature. As time goes on, and the story of Smith’s life gets told and retold, more of it slips into the realm of myth. 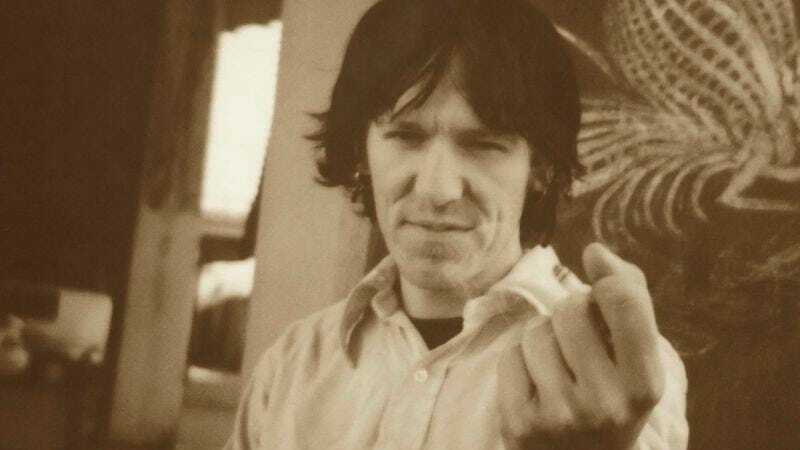 Is any of it the “true” Elliott Smith? No more so than the “made-up” people and situations heard on Either/Or. But as that record continues to prove, 20 years later, made-up things can still pack a lot of power.